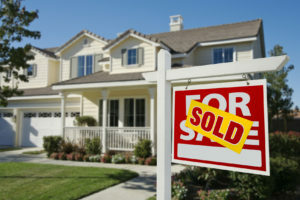 Marketing a real estate property is one of the most difficult things to do in business today. The competition is brutal, partly because online listings generate most of the leads. Almost every property buyer today begins her search online. So, it can be really hard to stand out from the pack. That’s why differentiating our property listings through high-quality photography and video pays huge dividends. Today, the latest marketing weapon in real estate is the use of dramatic camera drone photography & video tours in online listings. 1. Create more dramatic, compelling images. 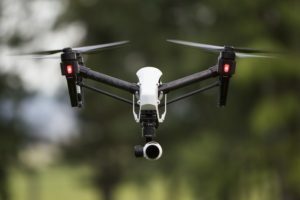 Well-designed drone camera shots not only look incredibly professional, they can generate a sense of awe and interest that you simply can’t get from ground-based photography. 2. Create more interesting virtual tours. A camera drone can literally fly into a home through the front door, and travel throughout every room, creating a far more natural virtual tour than station-based photography can. Virtual tours can become beautiful visual stories, rich with information and history. 3. Highlight more property features. Landscaping, pools, walking paths and back yards are important to many buyers. So are nearby parks and schools. Aerial photos & video bring these advantages to life. 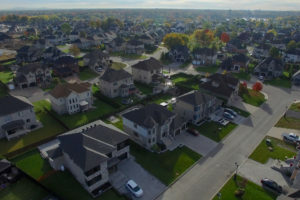 Using drone videos and photos to market your properties shows prospective buyers that you take advantage of every opportunity to show how proud you are of your property. It’s a well-known fact that listings that look better and provide more information, sell better. Combining our drone photography, videography, home staging, as well as a team of successful real estate brokers with decades of experience – you will surely sell your property quicker and at a higher price point!